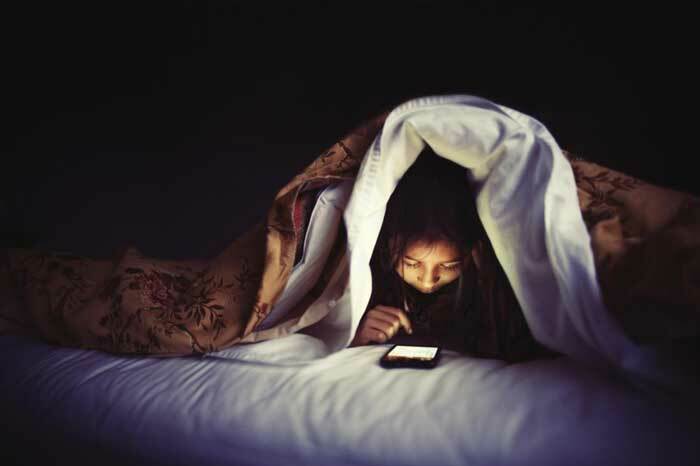 Stop using your phone before you go to bed. It has been proven that cell phone radiation causes insomnia and can prevent you from getting to sleep. Using an electronic gadget for just two hours before bed can cause sleep problems, researchers have discovered. The new study from the Lighting Research Center (LRC) at Rensselaer Polytechnic Institute believe the displays cause melatonin suppression. Melatonin is the chemical that controls our body clock. They believe teens are particularly susceptible to the problem. In order to simulate typical usage of these devices, 13 individuals used self-luminous tablets to read, play games, and watch movies. The actual melatonin suppression values after 60 minutes were very similar to those estimated for spending an hour in sunlight and was not deemed significant. However, after a two-hour exposure there was significant suppression.